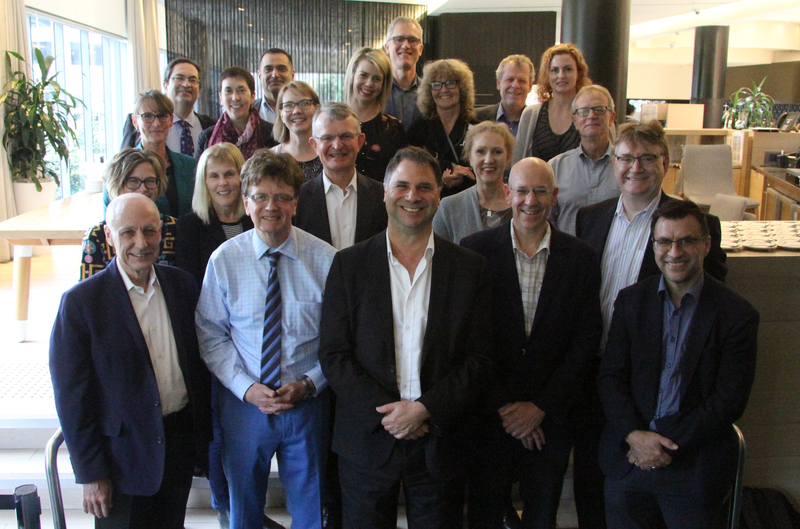 Thank you to all the guests who attended our special event for emergency service organisations and other high risk industries, co-hosted with Stand Tall for PTS, on Friday 22 March. 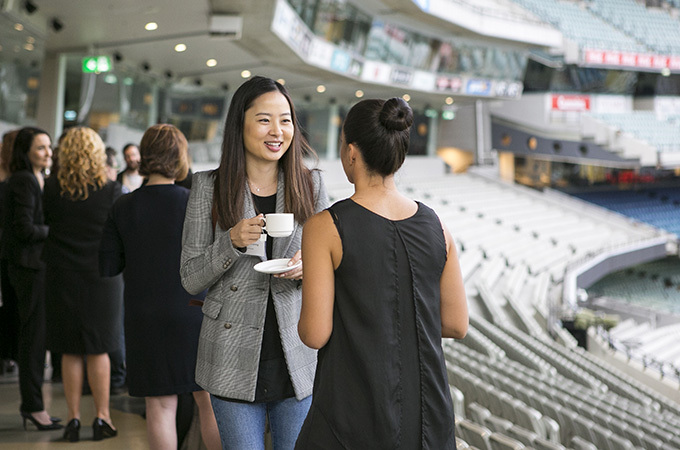 Overlooking the MCG grounds, the event was attended by more than 100 people from a range of organisations who enjoyed breakfast while listening to discussions about the impact and management of trauma in the workplace. David Mann AM, radio 3AW’s ‘Mann About Town’ and ambassador for Phoenix Australia, was MC and opened the presentations with an interview with Tony Dell, founder of Stand Tall for PTS, about his experience of living with posttraumatic stress. Tony is strongly committed to raising awareness about the impacts of trauma, having been diagnosed with posttraumatic stress 40 years after returning from the Vietnam war. David then interviewed Tim Peck, ex-police officer, and now Manager of Wellbeing Services for The Police Association of Victoria. Tim spoke about the mental health challenges of emergency service work, and how organisations can best support their workers. 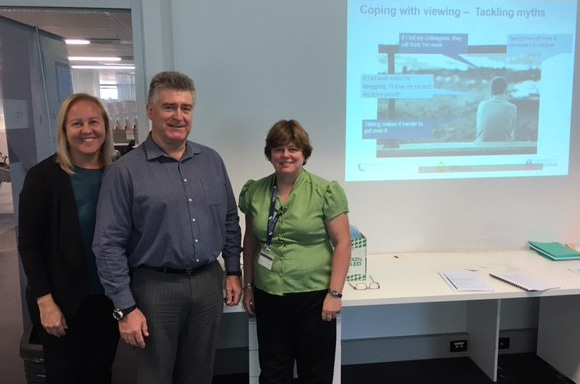 Nicole Sadler AM CSC, Director of Military and High Risk Organisations at Phoenix Australia talked about best practice approaches to mental health. “There is commonly a gap between routine and evidence-based best practice treatment,” said Nicole. “With extensive work having already been done across relevant sectors, there is the opportunity to leverage off this experience, and to translate existing evidence into tailored initiatives for each workplace,” she added. The final speaker was Air Chief Marshal Mark Binskin AC, former Chief of the Defence Force, whose commitment to ensuring a mentally healthy workforce was expressed through his experience of leading and implementing mental health reform across the Defence Force. “The fact that we’re asking them [emergency services personnel] to do extraordinary things in their day job on our behalf means that we owe them. And we don’t owe them just the duty of care… but to provide the best healthcare that we can. Any organisation wanting to develop a [mental health] program needs detailed data and an evidence base… Longitudinal studies help you to distil the facts and dispel the myths.” he said. Professor David Forbes, Director of Phoenix Australia, rounded out the morning by facilitating questions to the panel and then inviting guests to network.